Uwho has an incredible disposition and presence about her. She competed locally as a dressage horse schooling up to third level. Since we have owned her she has shown to be bold and powerful o/f. She is a dream to ride and work around. Uwho is the daughter of Iron Spring farm's legendary stallion Consul. Consul is known for producing remarkable athletes for every discipline. Among his international stars are the show jumper Judgement ISF and the four-star eventer Critical Decision. His daughter, the Keur mare Hivona, was a Produce of Dam winner at Dressage at Devon and top producing broodmares in the KWPN-NA. Uwho's dam Naomi sire Argus is the only stallion in the world that successfully performed in Grand Prix jumping and in international dressage. Uwho produced a phenomenal, KWPN Premium colt for us by Dreamscape farms Lestat in 2017, Marvelest and a spectacular 2018 filly by Diamond Hit; Noir Diamond. 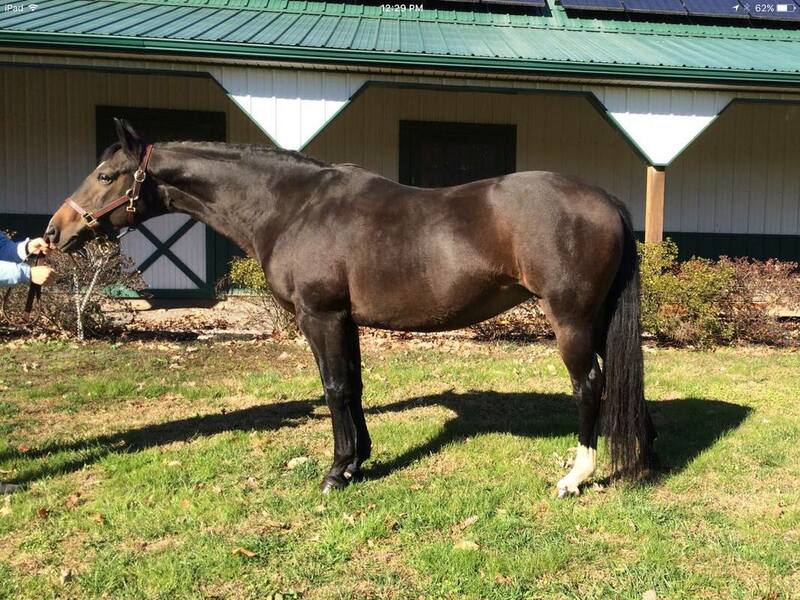 **Calina is currently in foal to Lestat (Lordanos) for a March 2019 foal! Calina is by the legendary Judgement ISF . Sired by Iron Spring Farm's legacy stallion Consul. Judgement ISF Judgement ISF (Consul—Faletta, Akteur) has been a force in the show jumping world since he burst onto the scene at the International Jumper Futurity East Coast Finals in 1995. He won all three phases of the competition with Olympian Michael Matz in the saddle, and he never stopped winning. With more than $1.5 million in earnings in his career, Judgement is one of the most successful U.S.-bred sport horses ever. Over his 14-year career, he represented the United States in 10 Nations Cups, went to the World Equestrian Games in Jerez, Spain, in 2002, competed in all varieties of classes including six bars and derbies, and raised the bar of U.S. breeding by becoming the winningest North American-bred show jumper in history.When he retired sound at age 18 he had nearly $1.5 million in prize money. NL Baltic Anika, aka Annie, is a very special mare to me. She came into my life after loosing my beloved mare Lucy. Annie's sire Baltic Inspiration was a the highest scoring SWB stallion to be approved in North America and he is the sire of the highest scoring mare, L.A. Baltic Kharma, who earned two Diplomas for dressage gaits as well as jumping ability. L.A. Baltic Inspiration was a very successful dressage horse including Champion Stallion, Champion Mature Horse and Reserve Grand Champion, Dressage At Devon, Champion USDF All Breed Award at 4th Level Dressage, 1998. In addition Baltic Inspiration was a successful Gran Prix jumper shown by rider Laura Chapot. Annie has incredible hack winning movement to die for. She is a local legend competing in dressage and the local hunter circuits. She is bold and careful o/f and is my perfect girl. I will not be breeding her back this year as I miss riding her too much! She will be bred in the spring of 2018 TBD. She produced her first foal this year by kwpn stallion Amazing. He has her perfect disposition and big movement. For more info on this special colt check out Amore's page. Rural Princess, aka 'Rori', is a breathtaking daughter of the Hanoverian stallion Rosenthal, the USEF 2016,2017 & 2018 Hunter Breeding Sire of the year! 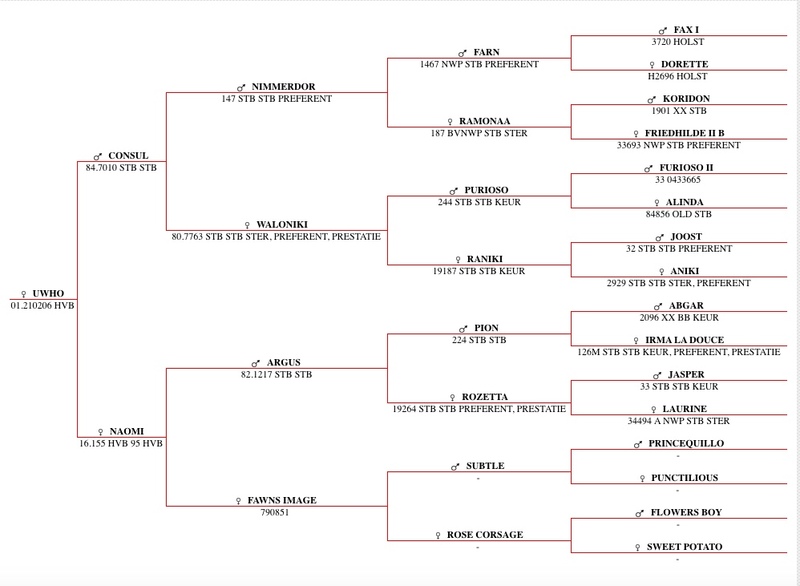 Rosenthal has been a consistent top sire in the Hunter Breeding div in the USEF. Rori had a promising eventing career that was cut short by an unfortunate accident that left her unable to complete. We are very excited about the opportunity for offspring from Rori. Thank you to Katie Harrel for giving us the opportunity to lease this fine mare! Bred in Wildeshausen Germany and imported as a yearling to Canada by South Lane Farm, Chablis success began at her Canadian Hanoverian performance test where she was the Mare Performance Test Winner awarded her 1A. This lovely mare proved to be a unicorn in every way with a heart of gold. SLF Chablis has competed to 1.3m and schooled to GP. Chablis' dam sire Graf Top is proving himself as an excellent sire of jumping talent, as well as gifted dressage horses. In 2006 he ranked #2 in the German Hanoverian Stallion book for his daughters' breeding values for jumping (score 171), but also ranks high for dressage breeding values. Graf Top is out of a full sister to the dam of Laptop, and combines the jumping talent and willingness of both Graf Grannus and Calypso II.